As a prequel chapter, Episode Ardyn, the concluding piece of Final Fantasy XV DLC, tells the earliest part of a story that already has an ending. The episode starts with the closing act of FFXV, before jumping back some 2000 years. We get to see the game’s primary villain, Ardyn, before he became an evil menace, along with the betrayals that transformed him into one. The Episode Ardyn add-on both is and is about resigning to fate. 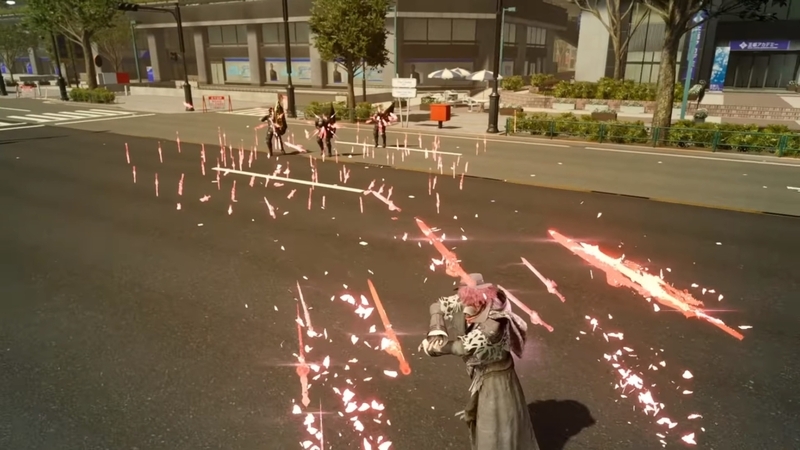 Developer Square Enix cut a planned series of four DLC episodes down to one. That leaves Episode Ardyn as the last stop on decade-plus development and post-release tour for the fifteenth Final Fantasy. The original plot of Final Fantasy XV was tightly bound to its protagonist, Noctis. As a result, players were left in the dark about anything happening in the world outside his immediate perspective. This allowed plenty of room for subsequent, character-focused DLC to fill in the gaps… with details that probably should have been part of the main story. 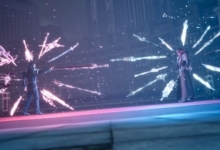 As with the previous trio of episodes (one for each party member), Ardyn’s offers further context for the antagonist’s personality, fleshes out events merely eluded to within FFXV proper, and expands the lore of the world of Eos. The storytelling structure of FFXV was always a bit of a mess. However, the overarching events themselves were quite compelling — if only details weren’t fragmented across a dozen transmedia properties. Episode Ardyn proves this point well. It takes a character that felt underdeveloped and annoyingly trite in FFXV, then turns him into an understandable, well-motivated, and tragic figure that makes me want to replay the main game. That way I can correct my previous misjudgments. Not that Ardyn doesn’t fit into some well-worn archetypes. But his story successfully taps the latent richness of Final Fantasy 15 that proves surprisingly affecting when it fires on all cylinders. vengeful agenda. Even knowing how it all ends, I won’t spoil exactly how the story gets there. Let’s just say Ardyn has little regard for his homeland’s sacred institutions. Over the course of this episode, Ardyn becomes sort of an Antichrist figure: a chosen, pious, and self-sacrificing healer who, upon being forsaken, seeks revenge and apocalypse. On one hand, this makes it tough to sympathize with him. But actually seeing him wronged by so many for so long, while doing nothing wrong himself, makes Ardyn’s anger feels justified — at least up until the point before it consumes him. The Ardyn that comes out the other end is a callous and aloof terror who, upon learning his ultimate fate is to be sacrificed yet again, elects to playfully torture and burn his way to that conclusion. The bulk of Episode Ardyn runs with this mentality. Just imagine you’ve gone full-on bad guy on the morality slider. You control Ardyn and are tasked with infiltrating the royal city of Insomnia to destroy its holy barriers. You must fight your way through the city, warping across rooftops and upgrading Ardyn with a truncated version of FFXV’s skill tree. Battles and movement retain that FFXV “swimminess” and troubled camera angles. The problems are literally heightened by Insomnia’s vertical layout. Luckily, the battle arenas are pretty fixed, so there’s not much opportunity for things to get wonky when it matters most. 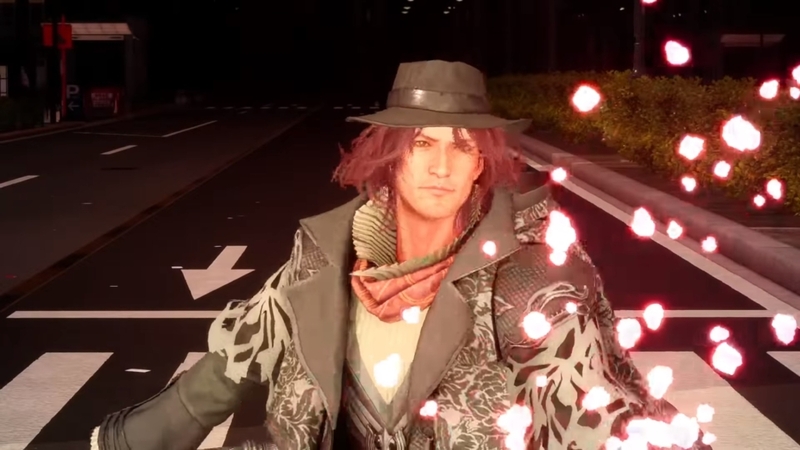 Combat movement is not unlike playing as Noctis, but Ardyn has a few extra tricks up his densely layered sleeves. These make for some interesting twists on the Final Fantasy 15 formula for at least as long as this brief episode lasts. Ardyn’s claim to fame is his ability to turn people into demons. Er, “daemons.” And you can employ that technique as a critical blow or finishing move. Unfortunately, it doesn’t mechanically transform anything or expand gameplay. His subjects just disintegrate into purple mist. I was really hoping Ardyn would be able to recruit some pet monsters to assist with the attack, but alas… This finale isn’t quite that bold. Even without a retinue of familiars, though, the Insomnia section of Episode Ardyn reflects the twisted personality of our titular character. While the core thrust of the mission is to wreak havoc, there are also hat shops stationed around town where you can purchase headgear — each with various stat buffs. Why would an immortal, all-powerful being bother to accrue enough money to legitimately procure hats, when he could just swipe them from unmanned kiosks? I don’t know! Part of me just thinks Ardyn finds it amusing. Either way, you can face off with a magical king while wearing a red Santa cap. So there’s really not much to complain about. Also the rap rock that loops incessantly during this whole segment is, quite appropriately, a lot. That being said, the battles in this DLC aren’t particularly difficult. That makes sense given that Ardyn himself is wildly overpowered compared to the foot soldiers you encounter. In a move that feels like a callback to random encounters, when wandering around the city for a minute the game will suddenly spawn groups of guards suddenly in front of you. This triggers a simple quick-time event that daemon-ifies them all in short order. Guardian golems present more challenge but upgrading HP a couple times all but ensures they will go down before you do. The whole Insomnia section is basically framed as a high score challenge (bonus points for destroying royal banners and propaganda). It presumes Ardyn’s dominance from the start, which further makes sense since we already know he wins this battle. It’s not a question of “if.” It’s a question of how quickly, thoroughly, and heartlessly this villain can get the job done. Again, we already know how this ends (you should at least play up to the finale of FFXV first if you don’t). And while it’s a shame Episode Ardyn will be the last release tied to FFXV, it’s also weirdly appropriate. FFXV was a long-labored title — originally part of the Final Fantasy 13 media sprawl — and it shows its scars from that decoupling. FFXV’s supplemental episodes were meant to slot in like missing puzzle pieces, revealing a complete image that was otherwise obfuscated by behind-the-scenes restructuring. 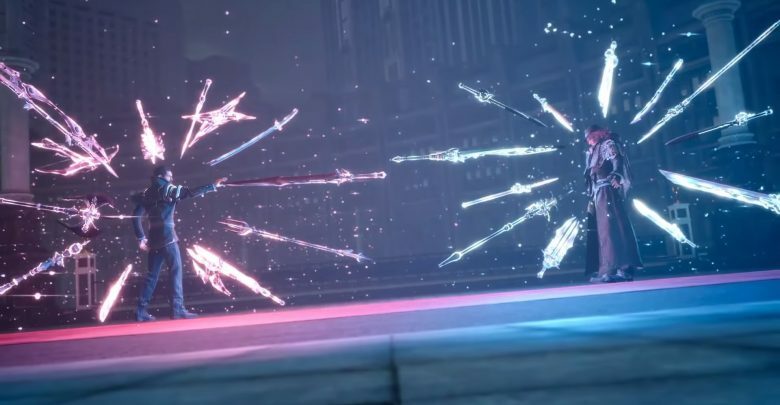 Instead, FFXV is now its own frayed multiverse — a Fabula Nova Crystallis unto itself. With Episode Ardyn, the game’s messy fate is at least finally sealed. All that’s left to do is embrace the chaos. The final touch of DLC for the troubled, fifteenth Final Fantasy game. Episode Ardyn isn't very adventurous, but acts as a thematically appropriate closer to the messy experiment that was Final Fantasy XV.